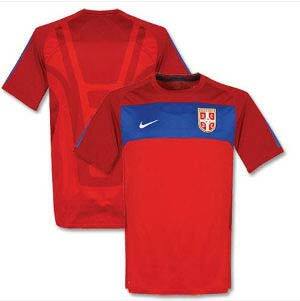 Official 2010-11 Serbia World Cup Elite Training Jersey manufactured by Nike. Available sizes are S, M, L, XL, XXL. Brand new official training range of the Serbian national football team in the 2010 FIFA World Cup Finals.